The following information has been copied from the d'Arenberg website. The idea to build the d'Arenberg Cube came to Chester Osborn in 2003. 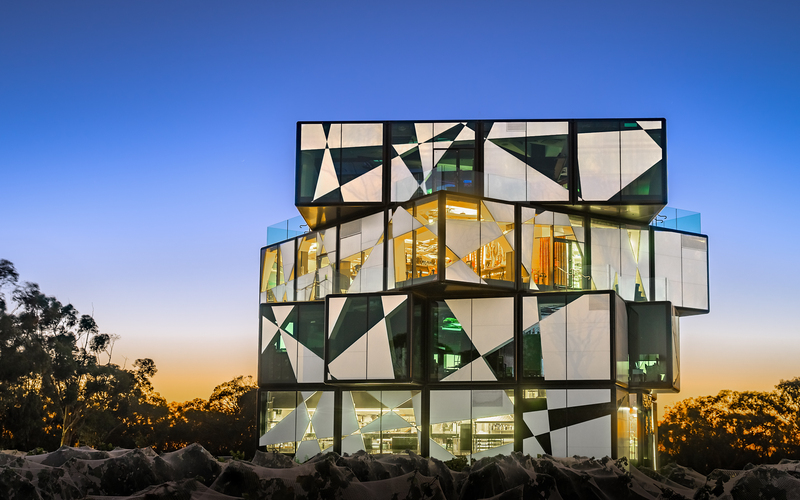 Inspired by the complexities and puzzles of winemaking, Chester created the idea of a cube-shaped building. Each of the five levels have been carefully designed to entice and excite the senses, including features such as a wine sensory room, a virtual fermenter, a 360degree video room, and many other tactile experiences. You can drive and there is ample parking at the destination on Osborn Road. I believe there are also bus tours from Adelaide. In addition to the previous description the Cube has wine tasting on the top level and a restaurant below.